Red Phifertex Standard Solids Fabric is a durable vinyl coated polyester mesh with an open weave. It’s breathable, easy to clean, tear resistant, fade resistant, and mildew resistant with Microban to prevent stain- and odor-causing bacteria. This bold color has a wide range of uses, including, market bags, tote bags, sunscreens, outdoor cushions, and elevated dog beds and cots. It can be sewn with a sewing machine. This is exactly what I was looking for to replace storage/tote bags on our boat. To replace the chair mesh my dog chewed up. Color will be beautiful for a beach tote bag.....easily spotted on the beach! Because I make tote bags with this product and red is a popular colour. It makes an attractive and serviceable bag. To make a pocket for a backpack for my wife's scooter. can it be used to repair soft side dog carriers? Can I use this mesh for swim floats? BEST ANSWER: You should be able to. We can't say how well this fabric will hold up to chlorine, however. To attach together does it have to be sewn or is it heat fusable? BEST ANSWER: It isn't listed as being heat fusible, so to be on the safe side, sew only. Will fabric fade in the sun? BEST ANSWER: This fabric is fade resistant. can i use this to resling my patio furniture? BEST ANSWER: This is not a slingable fabric. Phifertex Plus or Phifertex Wicker Weaves are slingable. See the few items attached as examples. 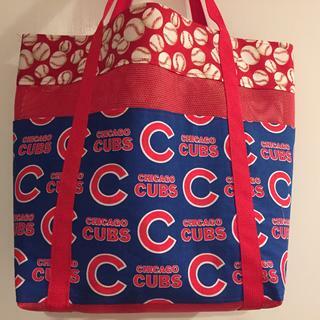 My family in Illinois got these totes from me.